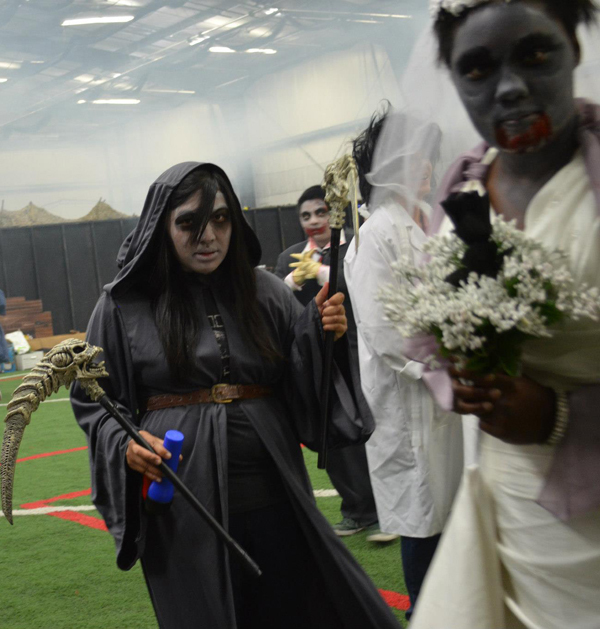 The Rotaract Club of CSU Monterey Bay wants to scare you. About 30 of the club’s members have volunteered to help at the Castle of the Dead Haunted House in Salinas this Halloween season. The haunted house promises 6,000 square feet of one scary encounter after another, with the CSUMB contingent doing its part as actors, makeup artists and costumers. According to club president Charn Singh, a junior biology major, Rotaract brings together college students for the purpose of humanitarian service, networking, building goodwill and promoting peace around the world. Castle of the Dead benefits Sun Streets Centers’ STEPS – Safe Teens Empowerment Program – and Salinas Girls Fastpitch. Sun Street Centers works to prevent alcohol and drug addiction by offering education, prevention, treatment and recovery to individuals and families regardless of income. Salinas Girls Fastpitch aims to have its players compete at the highest level possible and to prepare for play at the university level. Gabriela Rosas volunteered at last year’s event and plans to do it again this year. 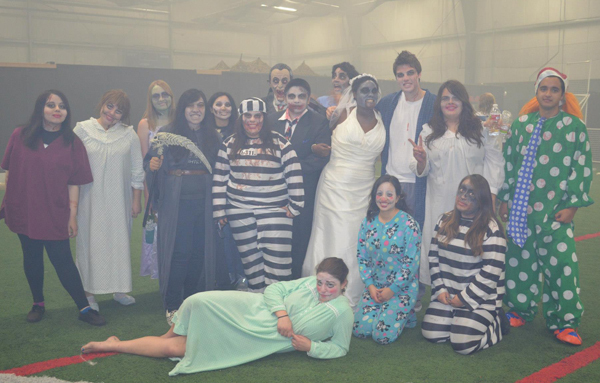 “Volunteering at the Haunted House was a unique and amazing experience. 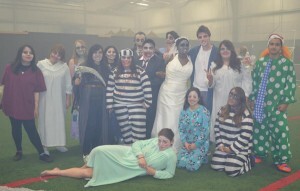 I was able to scare people and have lots of fun with my peers,” Rosas said. More than 100 volunteers from Salinas area schools will join the Rotaract Club members in staffing the house. Visitors will go from a haunted forest to Poe’s library to the Castle kitchen and beyond for spooky tales, hair-raising chills and a maze filled with creatures of all kinds. • Oct. 26 – 4-10 p.m.
• Oct. 27 – 4-9 p.m.
• Oct. 28-31 – 7-10 p.m. The CSUMB contingent will be there on Oct. 26.